Your tropical romantic getaway awaits you here. Siesta Key is a beautiful barrier island and wonderful vacation destination for any couple. Staying at Tropical Breeze Resort and watching the sunset over the water will easily set the mood on your romantic escape. Siesta Key is famous for dazzling white beaches and turquoise Gulf waves. It’s easy to find your perfect spot in the soft sand. No date night is complete without a good place to eat. Siesta Key has many options to choose from when it comes to fine or casual dining. Couples will find a varied selection of restaurants to suit their individual style. Eat at The Cottage Restaurant with outdoor seating in a tropical backyard lit with candles. Couples can enjoy romantic choices like The Cottage Restaurant with a tropical-inspired back patio area where fine dining is served with candlelight and live music. If they are looking for fun, casual, and a bit more of a “touristy” beach-style meal experience, Gilligan’s Island Bar and Grill is an excellent choice, complete with a Tiki bar and a thatched roof. Of course, with so many waterways surrounding the area, seafood is going to be prevalent on any menu. Couples can take their pick from baked, battered, or broiled seafood dishes at many of the popular restaurants. 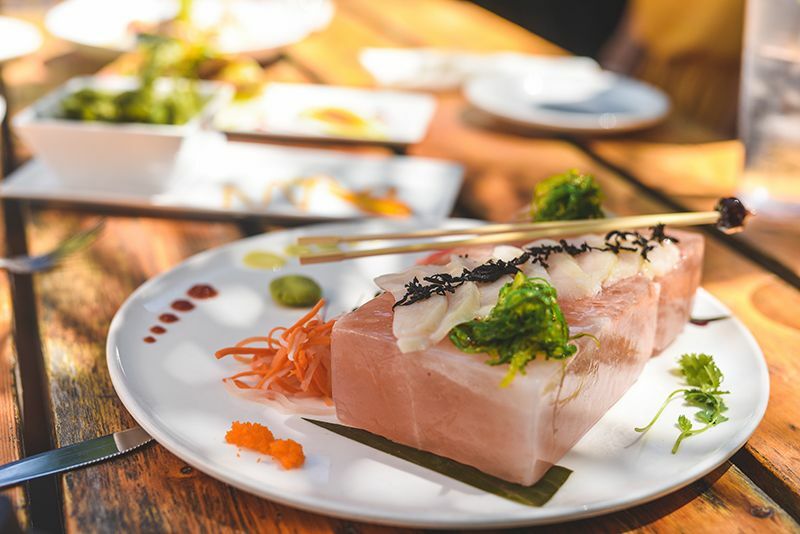 There are also plenty of other choices as well that don’t come from the nearby waters, ranging from prime rib and filet mignon to pork chops, fried chicken and vegetarian options. 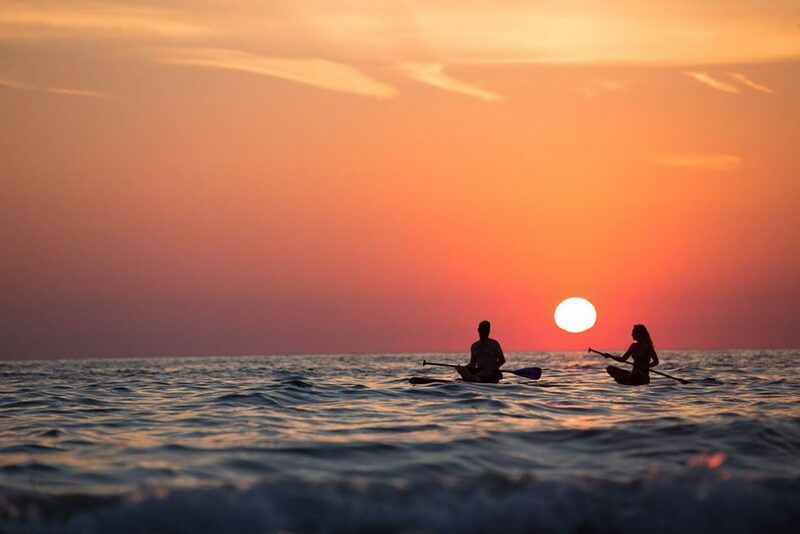 While spending time on the beach is one of the most popular activities for vacationers, Siesta Key offers plenty of other activities as well. 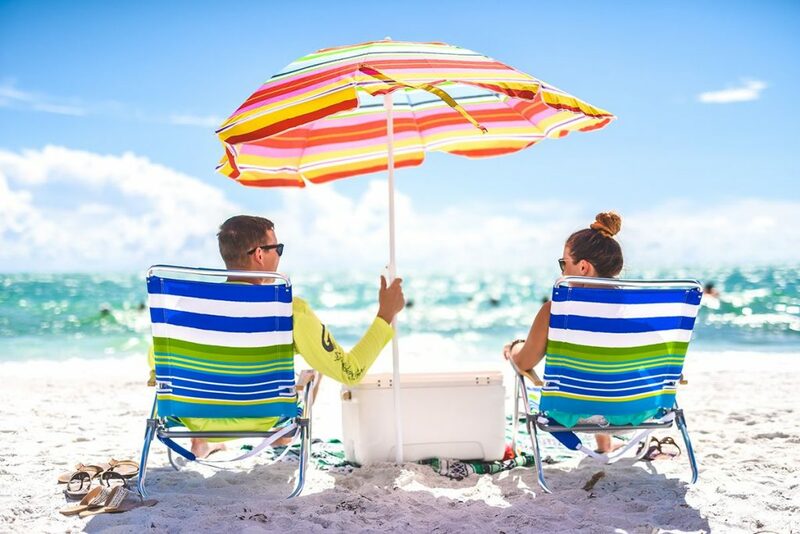 There are plenty of tennis and sand volleyball courts available for an active day at the beach, and bike and kayak rentals available for those who like to stay mobile. Siesta Key Village doesn’t just have shops and restaurants, but famous bars and clubs like the Daiquiri Deck, The Beach Club and more! So you have a choice of staying in for a cozy evening, or getting out and about for live music, great drinks and fun all around town. Find out more about Siesta Key Happy Hour to save some money on your vacation. With such a variety of options for fine restaurants, recreational activities, and the comfort and luxury of Tropical Breeze Resort, any couple can have the date night or the vacation of their dreams!